* In case of cancellation of dive/snorkel activities by DRESSEL DIVERS (caused by bad weather or lack of participants), we will refund the amount paid for the services that you did not enjoy, if there is no possibility to reschedule. * If you are not able to dive because of a medical reason (with obligatory doctor’s confirmation note that should be handed in on site), we will refund the amount paid for the services that you did not enjoy. * If, on site, you decide to cancel your already planned activity, due to any other reasons (with at least 24 hours notice), we can reschedule or you will receive a voucher for the prepaid and not enjoyed services. * If on site you decide to not use the paid services, you receive a voucher, no refund. * If you do not show up for your scheduled activity, you have no right to a refund or a voucher. * If your holiday is cancelled, we offer a full refund minus 3% admin fees as long as you provide us with a copy of your flight or hotel cancellation confirmation. * If you purchased a package and because of a medical reason (with doctor’s note) or a weather cancellation you are not able to finish your package, we will calculate the price list value of the services that you did enjoy, and refund the difference between the original payment and the price list consumed value. 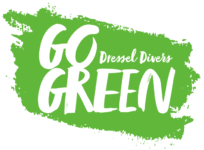 If the consumed value isn’t lower than the original payment we provide a voucher for the left over unused services, because this means they were offered for free by Dressel Divers as part of the package deal, and being free gifts they were not paid for. * Vouchers are valid for 5 years and to be used at any Dressel Divers dive centre in Mexico, Dominican Republic and Jamaica. * If a refund applies, we return the funds towards the credit card that you used to prepay your package with. You will have to claim your refund with us via email within 1 month after your return.